Hi, I’m Cat. Thanks for dropping by. I’m one of an increasing number of girls who’s mad about mountain biking, and as I’m also a writer, I like to blog about it too. Having been an avid snowboarder for many years, I got into mountain biking as a way to satisfy my urges to fly down steep slopes during the summer months. I’d been desperate to give it a go for years but as my earnings as a writer didn’t stretch to having two expensive hobbies, my introduction to the sport was frustratingly delayed. However, when my boyfriend upgraded his mountain bike to a fancy full sus, I inherited his old hardtail, and after a few modifications, was ready to hit the trails. I’m fortunate enough to live within easy reach of Glentress, one of the UK’s best trail centres, and ever since my first ride there (on the Black route!) I’ve been hooked. Now, whenever I have any spare time, you’ll either find me out on the trails or at my laptop writing about it. 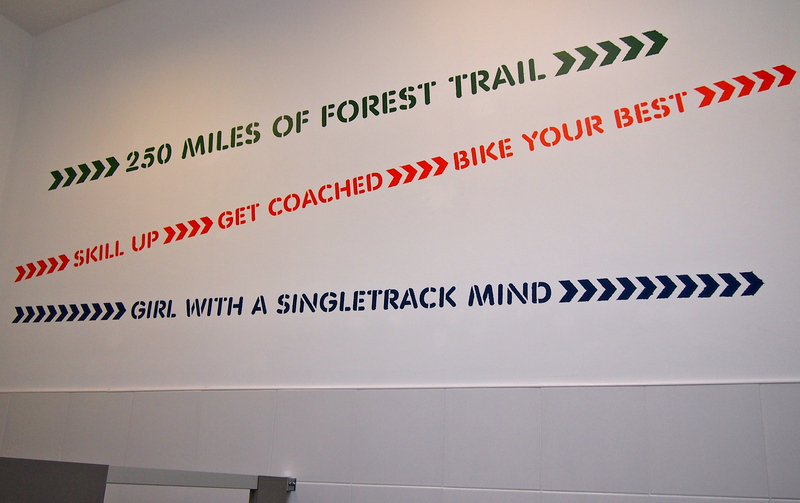 I ride at Glentress a lot and it’s there that I found the title for this blog, “Girl with a Singletrack Mind”. Any women who’ve used the changing rooms there may have seen it painted on the wall above the showers. I guess it’s a little nod to the place where I developed my passion for mountain biking, and also happens to sum me up perfectly! I’m also a freelance copywriter/journalist and write for a number of winter sports websites and publications, among others. You can view my portfolio on my website, Switch Copywriting, and if you think you could use my services, please just give me a shout. Above all, I’d love to use this blog, and associated social media, to connect with other mountain bikers and share the stoke, so please feel free to leave comments, drop me an email (catahart@gmail.com) or hook up via social media (details below).